Do you want to go to the most exotic travel destinations? To Benin. And where is that? In the Gulf of Guinea, in West Africa. And it’s dangerous? These are the questions that will have to be answered again and again by anyone who decides to travel to a territory little explored even by tourism, where the rituals and customs that are represented in other places for visitors are still authentic. There we were four friends. As always, it is necessary to be clear where one travels: Benín occupies the position 163º in the list of the human development index of the United Nations (which includes 189 countries). It is a poor country, but hospitable. And although it asks for some precautions of this kind of destinations (the Spanish Ministry of Foreign Affairs recommends, for example, avoid night travel and certain border areas, especially the north), travel the country by vehicle with local guide is an adventure that will take the curious traveler, armed with a smile and a good dose of patience, to feel one more among the inhabitants of a place with an exuberant nature and a culture that seems to be part of the past. 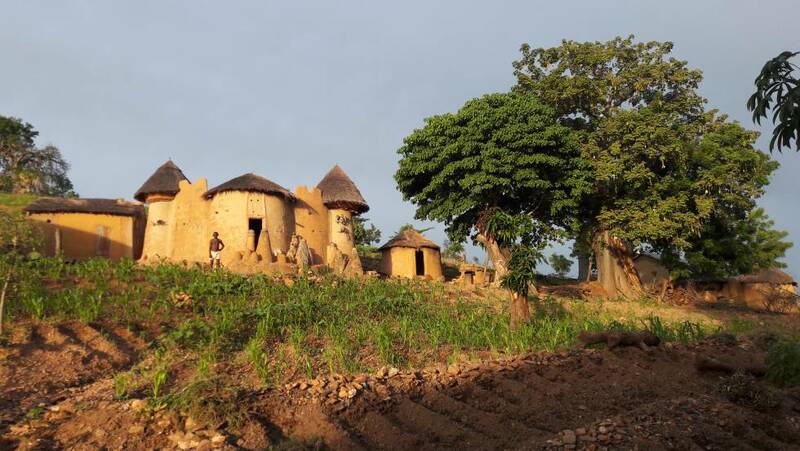 Palaces of adobe with magnificent wooden doors full of symbolic bas-reliefs, temples, baobabs or colorful ceremonies, are all surprises in this young country, with nearly 11 million inhabitants, which is almost exclusively maintained by agriculture. Among the different ethnic groups (fon, yoruba, adja, houeda, fulani, somba …) that inhabit what was the French colony of Dahomey until 1960, there are Catholics, Muslims and Protestants. But regardless of whether they profess one of these religions, all are also usually brothers of a voodoo temple and their life is governed by the precepts that the witch marks. “If you want something, you have to give something in return,” they say, convinced that their ancestors will intercede with the gods for their benefit if they are filled with offerings. Voodoo, which has little to do here with the idea of black magic that has spread Hollywood, is omnipresent in Benin. Whether in a village, in a nomadic tribe in the middle of the jungle or in the bustling city of Cotonou, many flock to the babalawo(sorcerer or spiritual consultant) before making an important decision. It is a religion that remains alive and also rooted in America (especially in Brazil and Cuba) by the hand of the slaves who, for more than two centuries, captured the traffickers in the Gulf of Guinea and embarked in Ouidah, in a place now called the Door of No Return. 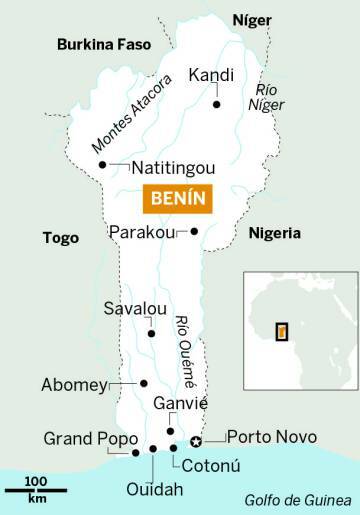 To move around Benin, European forecasts for transfers do not work and you have to count on the fact that in some places, such as the villages of the Fulani in Mount Agonlín, you can only get there on foot or by motorbike with a driver. Although once nomadic, this islamic village that lives on cattle only changes camp twice a year. The women – tall, thin and very flirtatious – are in charge of building the huts – round and covered with vegetables – and making the famous soft cheese that is one of the delights of the local cuisine. There are many options to tour the country, but the traveler should not miss the village of Savalou, with its animistic rites and its royal palace full of great figures where it can be received by the king, nor the Atakora mountain range, where the ditamarí live. to which everyone calls Somba, although they do not like it because it means wild. One of the most pleasant surprises of the trip is to arrive at sunset at a village of that ethnic group, when the sun accentuates the reddish color of the earth, and visit their tatas, two-story adobe houses. They are constructions that resemble castles adorned with geometric drawings that indicate belonging to a tribe and that also mark the face and body of its members. He worships his ancestors and the doors of the tatas,As if it were guardians, adobe fetishes are raised. Phallic figures with remains of guinea fowl feathers, blood and cowrie shells that seem to guard these adobe castles, declared a world heritage by Unesco. The tatas, surrounded by enormous baobabs, mangoes and irokos, used to shelter the cattle, while the bedrooms and barns are located above. The ceremonies go out to meet the traveler: baptisms, weddings, processions, funerals … but none so shocking as the rituals organized by the guardians of the voodoo temples. 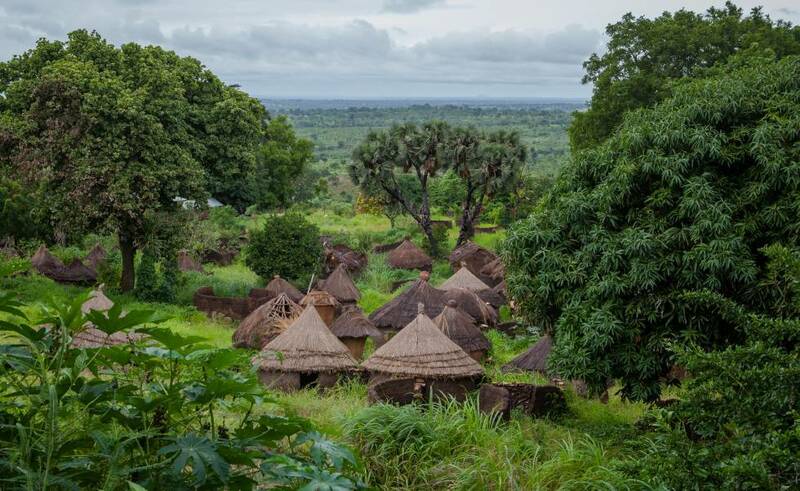 Near Abomey, in Bopa, a fishing village, lives the guardian of Shango, the god of thunder, and if your visit coincides with any of the celebrations do not hesitate. You will have to pinch yourself to realize you are not watching a National Geographic Documentary.